Synergy88 Digital, a pioneering digital solutions company based in the Philippines, has recently announced the release of Barangay Basketball on Google Play. A distinctly Pinoy gaming experience, Barangay Basketball is not only the first story-based mobile game created by Filipinos but is also the first to reflect local community life in the Philippines. Barangay Basketball follows the story of Wax, son of a former Filipino basketball legend, as he tries to step out of his father’s shadow and become a basketball star in his own right. Along the way, he meets a slew of interesting characters who can help make or break his dream. Players will get to hone their skills in dribbling, shooting, blocking and dunking through a set of challenging and fun mini games. As they clear one challenge after another, they will get to follow Wax’s journey from the humble hoops of the barangay court, to the grand stage where the “big boys” play. Aside from its awesome gameplay and story, Barangay Basketball features world-class art and animation created by Synergy’s pool of talented artists and animators. Teen stars Patrick Sugui and Ysabel Ortega, and veteran actor and former pro baller, Joey Marquez, lent their voices to breathe life to the game’s protagonists. Set in Tondo, Barangay Basketball perfectly captures the atmosphere of a working-class neighborhood, making it an excellent backdrop for a narrative that Filipinos can definitely relate to. A cast of colorful characters fill up the canvas to make the story come alive. Coach B, a former professional basketball player serves as coach and mentor to Wax, while his son Robbie becomes Wax’s kuya or older brother as well as his best friend. Gasti, the barangay’s iron-pumping bully, makes life less easy for Wax and challenges him to improve his skills on the court. To help with Wax’s training, Coach B enlists a group of basketball “masters” who will assist Wax in understanding the rudiments of Pinoy street basketball: Croco Martin, a sharp-shooting policeman by profession, gives Wax a lesson in shooting outside the paint. Popoy, who peddles coconuts for a living, teaches him how to block his opponent’s shots. Boy Pana, the barangay’s resident troublemaker, helps improve Wax’s dribbling skills. And Gardo Distrito, the neighborhood’s beautician, instructs Wax on how to dunk a ball with flourish and flair. Because of the game’s high production value and unique storyline, Barangay Basketball was recently nominated under the People’s Choice Award category of the International Mobile Gaming Awards for Southeast Asia. 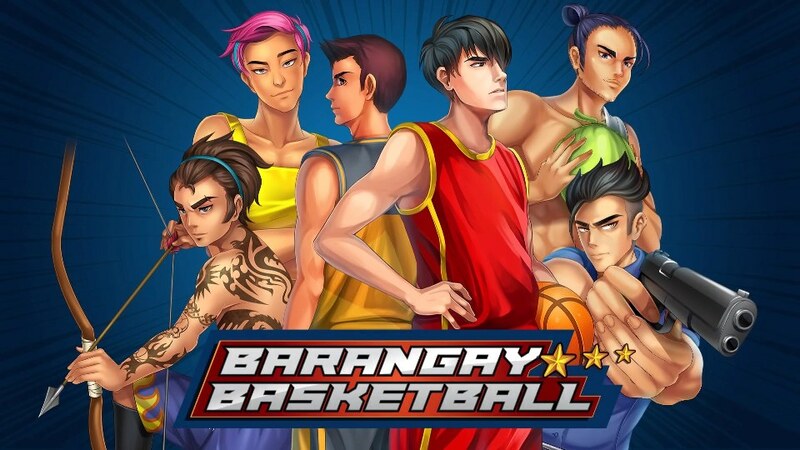 When asked about the future of Barangay Basketball – the Synergy88 Digital team shared that an iOS version of the game will soon be available for download on the App Store, additional chapters in the story are in the works, and an online player vs. player (PVP) mode is in the development pipeline. Barangay Basketball also serves as a prequel to the story of an upcoming anime TV series, Barangay 143. The show, co-produced by Synergy88 Entertainment Media, August Media and TV Asahi, will revolve around the challenges, defeats and victories of a group of basketball-loving Filipino teenagers. The show will initially be aired in the Philippines but will also make waves on international shores later on. Barangay Basketball can be downloaded and played for free using any gaming-capable Android device. For more info about the game, visit www.barangaybasketball.com.